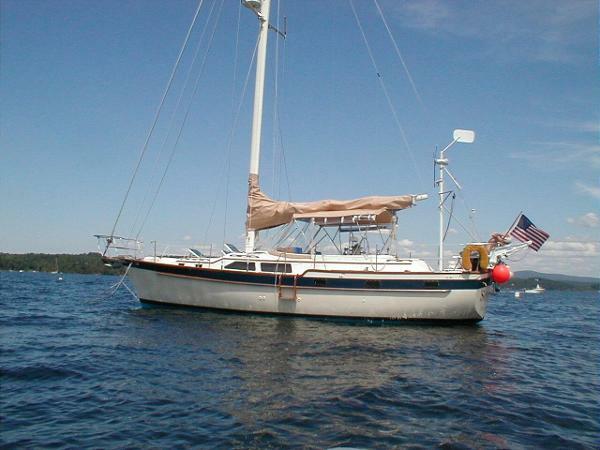 Fair condition for a 45-year old sailing cruiser. Chain plates, shrouds, backstay appear new. Running rigging seems serviceable. 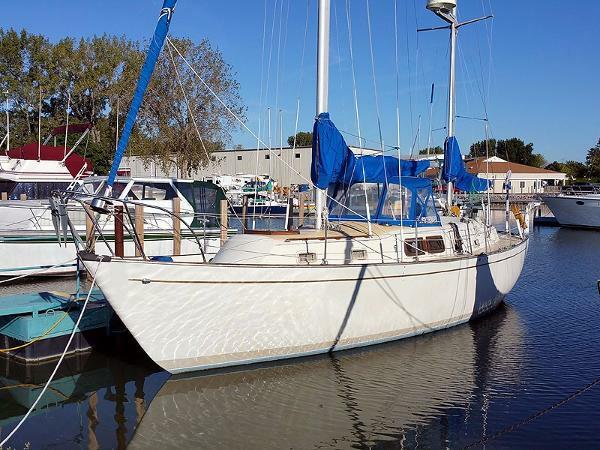 The cabin is clean and dry, no leaky portholes or hatches, often found on older sailboats. Engine starts right up, is loud as hell, pulls strongly. Drive engages smoothly. Steering, shift, and throttle work smoothly. No soft spots on deck or in the cabin. Spiderweb gell coat cracks visible at two stanchion bases. The boat is due for a new coat of bottom paint but gets scrubbed by a diver monthly. 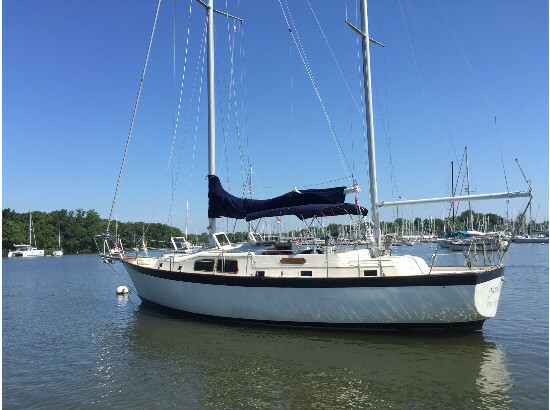 Stock #144869 Roomy, appealing, center cockpit cruising design, Kubota 50 horsepower motor If you are in the market for a cruiser, look no further than this 1973 Irwin 37-1, just reduced to $17,500 (offers encouraged). This vessel is located in Miami, Florida and is in decent condition. She is also equipped with a Perkins engine that has 1,000 hours. Reason for selling is got a larger morgan. This boat is in good condition for its age. 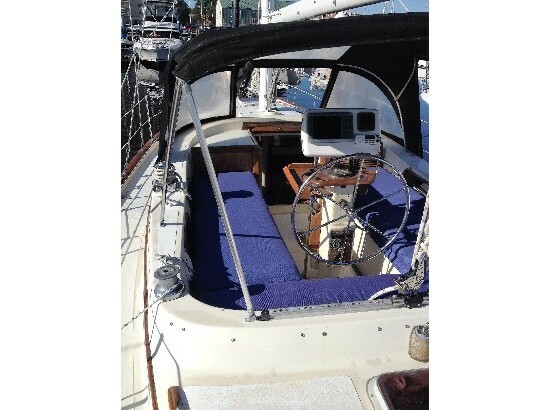 The current owner has had the boat for 12 years and has made many improvements and upgrades. The sails are in good condition according to the owner. The center cockpit enclosure and Isinglass are in very good condition. The cockpit Icom VHF radio, the batteries, and the Garmin ECHOmap DV were recently replaced. 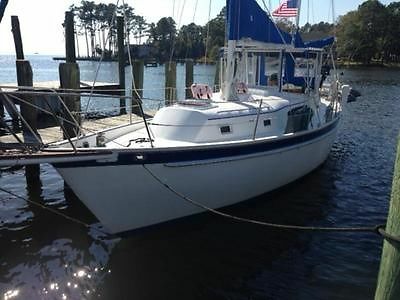 Stock #143730 Center Cockpit Irwin Ketch, Very good condition, Live-aboard Ready, well maintained and ready to sail! 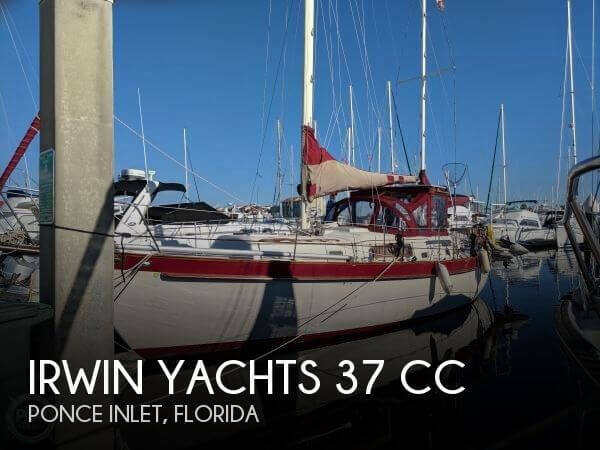 If you are in the market for a ketch, look no further than this 1980 Irwin 37 CC, just reduced to $44,000 (offers encouraged). 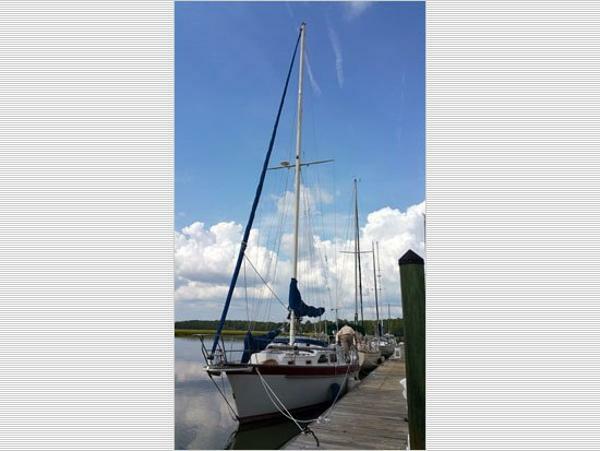 This vessel is located in Punta Gorda, Florida and is in good condition. She is also equipped with a Perkins engine that has 2,600 hours. Reason for selling is downsizing. 1983 Irwin Center Cockpit “CURRENT PRICE” IS A GUIDE. ALL OFFERS RESPECTFULLY CONSIDERED. General Description This boat would make a great cruiser or live aboard. She has plenty of interior space and a lot of storage. The two passage ways leading to the aft cabin, give you engine and generator accessibility, and living space. She has lots of deck area, and a comfortable center cockpit. The cutter rig makes her great for all winds. Actual Condition It is reported this Irwin took on water, at the dock, when the intake hose for the generator started leaking. The pumps did not keep up, and the bilge filled with water. There was enough water over the batteries to compromise the generator. There was also a few inches over the lower cabin floor and DC wiring, pumps, a/c, freezers, etc... were below the water line. It is also reported that she was pumped and the intake closed. 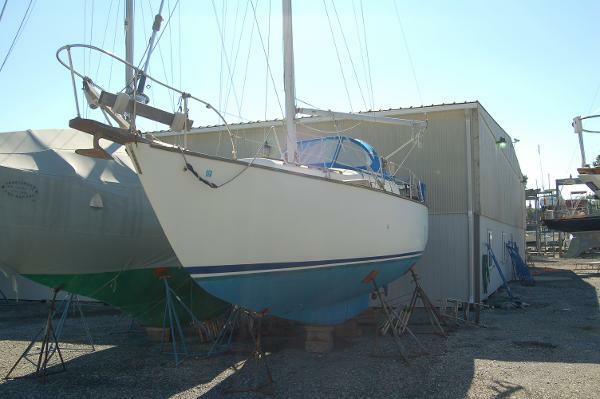 She is still in the water and her bilge is now dry. The shore power and electric panel are fine, as well as all functions above the level of water intrusion. 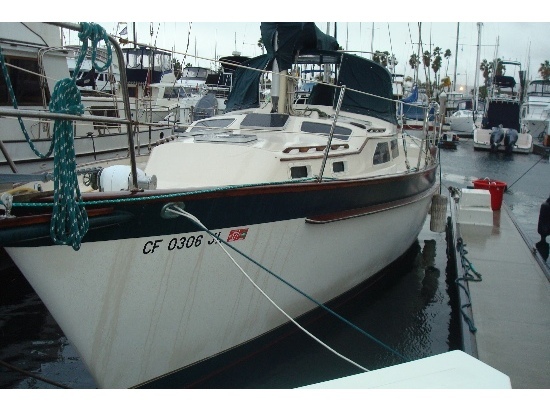 This boat was extremely well-maintained and reportedly upgraded over recent years. This is a great opportunity. Make an offer! Equipment• Original Main w/ 2 reef points• Club Foot Staysail• Genoa • Roller Furling A trailer is not included in this sale. Engines Please read Motors and Machinery Disclaimer. Motors and Machinery DisclaimerNo statement of condition can be made regarding motors, engines or machinery, whatsoever. A photo may appear of the engine compartment and machinery, but it is entirely the buyers responsibility to inspect and determine their actual condition. 1972 Irwin Center Cockpit Ketch Kaleidoscope is a classic Irwin Yachts ketch rig sailboat in very nice condition. The very large center cockpit provides a great view for navigation and plenty of room for entertaining or just relaxing. The interior of this sailing yacht provides plenty of room for up to six to sleep, eat and socialize comfortably with two cabins, two heads and a convertible dinette. The rebuilt Perkins 4-107 41 hp diesel engine provides plenty of power to motor this yacht as needed. All fiberglass exterior decks reduce maintenance while the main cabin features a teak and holly sole with the forward and aft cabins sole fiberglass. Sails include Dacron jib, main and mizzen and a nylon cruising spinnaker. 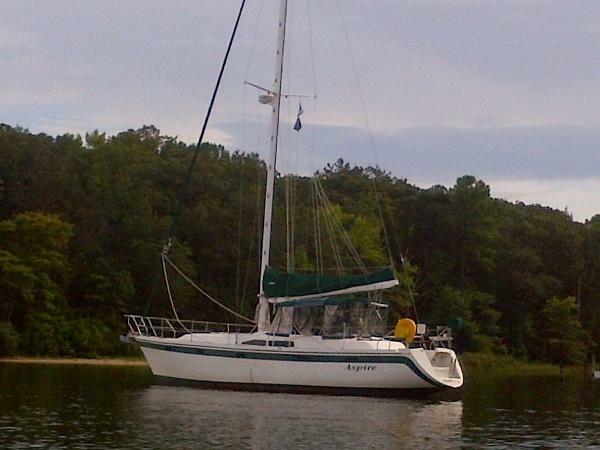 Kaleidoscope is a solid sailing platform ready for a new owner to sail her. 1975 Irwin Center Cockpit Ketch This is a 42' Irwin Center Cockpit Ketch, built of fiberglass by Irwin Yachts.LOA: 42' / Beam: 13' 3" / Draft: 4' 5" / Displacement: 29,000 lbsPowered by a 45hp 4-cylinder Isuzu diesel engine. This boat was dismasted (main & mizzen, both deck-stepped) after attempting to go under a fixed railroad bridge which was not quite high enough to allow normal passage. 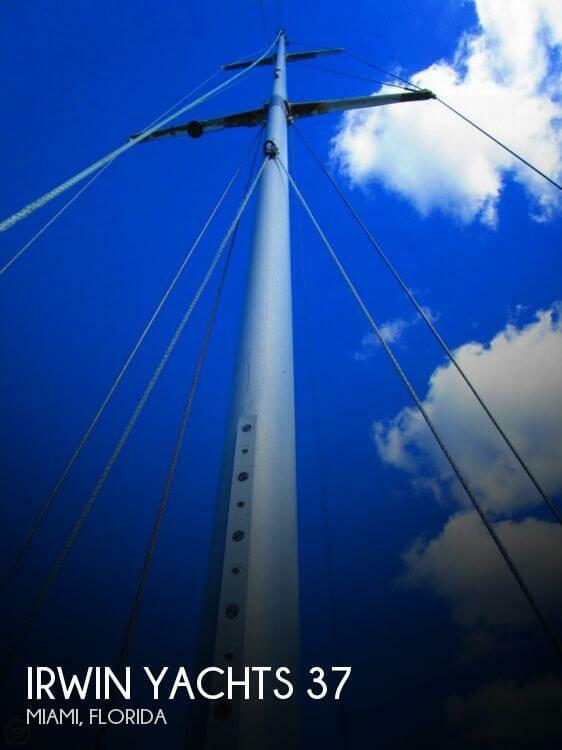 As a result, the following items will have to be replaced: * Masts and booms (along with all fittings - spreaders, tangs, etc. )* All standing rigging (the turnbuckles appear to be in useable condition)* All running rigging* Mizzen sail torn at head, tears in jib (main sail and genoa appear to be serviceable) List of related damage includes:* At least two bent chain plates* Bow pulpit supports broken* Main mast deckstep box bent The boat itself has not been surveyed since the accident, but does not appear to have suffered any major structural damage. However, defects that have been noted include, but are not limited to, the following:* Hull is heavily oxidized and has numerous areas of scuffs, scratches. * Toe rail (wood) broken/split, port & stbd (at chain plate locations)* Interior woodwork stained in numerous areas. More details regarding the condition of this boat are available upon request. 1985 Irwin Center Cockpit The Irwin 38 is a great live aboard cruiser with two private cabins, two heads and large windows in the main salon. Cross Roads has been lovingly maintained inside & out and has been continually upgraded. She is a tremendous value in a large center cockpit cruiser that is ready to take you cruising now. You need to read the full specs to know what a tremendous value this vessel truly is.